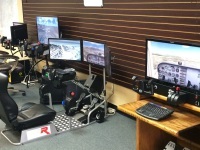 Bringing the joy of piloting an aircraft to the rest of us. 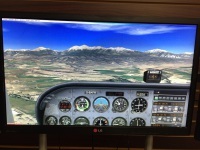 Do you have a bucket list item: "Get my pilot's license?" 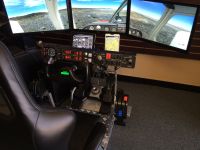 Have you ever imagined what it might be like to be a pilot? We can show you how to do it for thousands of dollars less than traditional methods. Few things in life are as fun and exciting as piloting an aircraft yourself, experiencing sights very few people ever get to see. 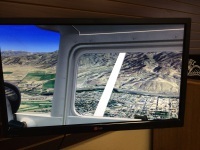 It's nothing like looking out the window of an airliner - that ain't flyin'. 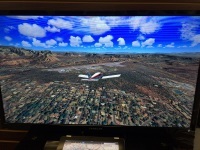 The thrill of takeoff and the delight of soaring over a patchwork of terrain below, with you in control of a private plane, transcends the humdrum routine and hassles of a boring airliner. 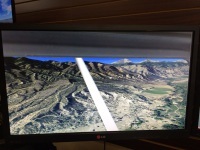 Your birdseye view of life will never be the same again. 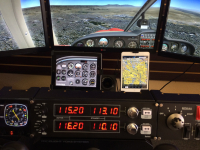 We can show you how to get a "Sport" pilot license for as little as $99 a month if you're willing to make approximately a two-year commitment. 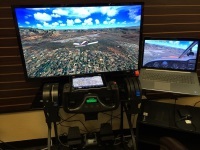 For the same time commitment, you can also get your Private Pilot Certificate for as little as $199 a month. But if you'd like to accelerate this process dramatically, we can show you how to do that, too. 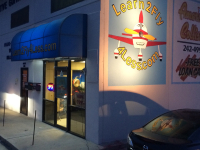 The bottom line is this: If you really want to learn to fly, for less than a car payment, you can! 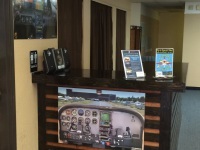 What makes us completely unique is that in our convenient office location, we have four powerful flight simulators that can vastly increase a new pilot's confidence and skill level. 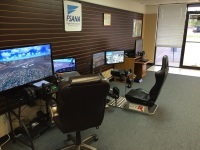 These simulators allow a pilot to practice flying skills for only $10 - $30 per hour. 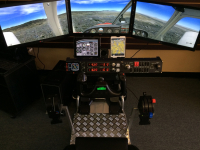 This is the same concept NASA and the commercial airlines use to train new pilots as well as keep existing pilots proficient and continuously learning. 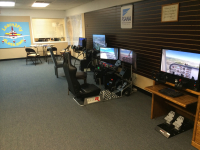 If you are already a private pilot but need to refresh your skill in emergency or risky maneuvers or practice your instrument approaches, why not use our simulators to do it safely and inexpensively on the ground? We take the "Im" out of Impossible! 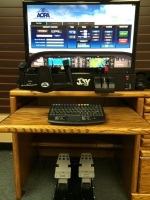 To foster and enhance the awareness of the pure joy of piloting an aircraft for fun, travel, vacations, or even a career. 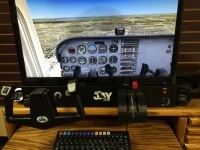 To help new pilots learn to fly for (up to 50%) less than traditional methods, and to assist existing pilots to stay proficient for (up to 90%) less, or get that Instrument and/or Commercial Rating for (up to 50%) less.